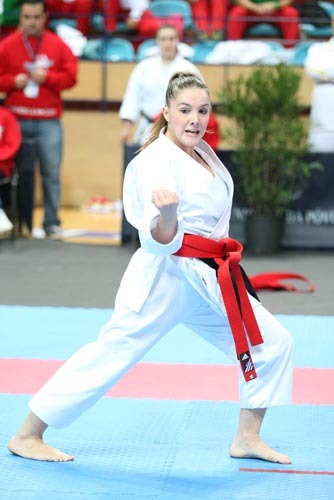 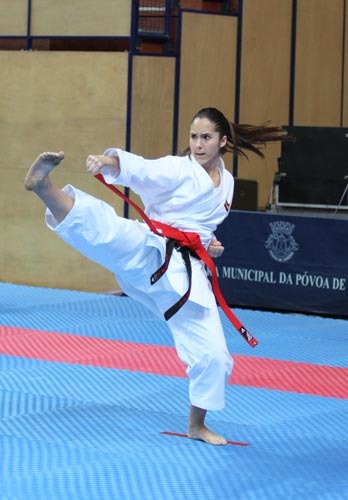 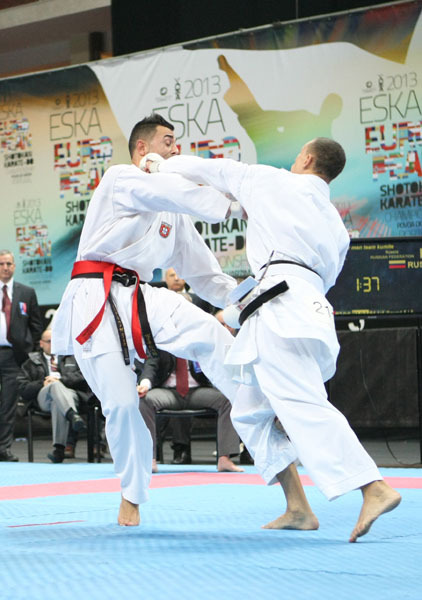 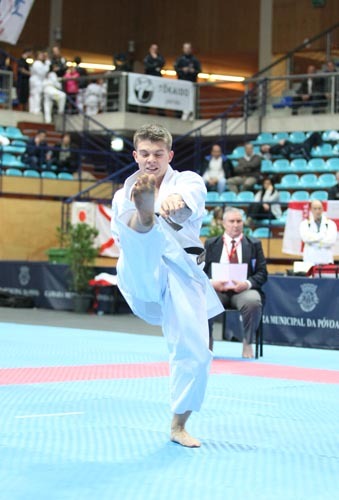 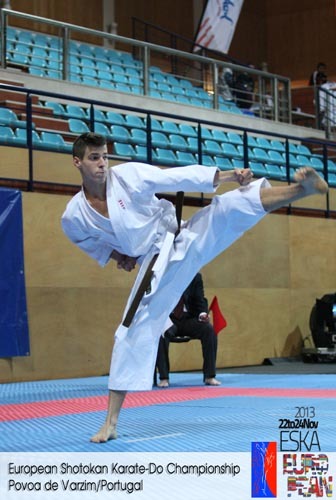 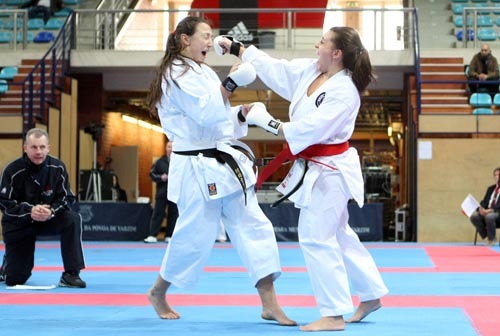 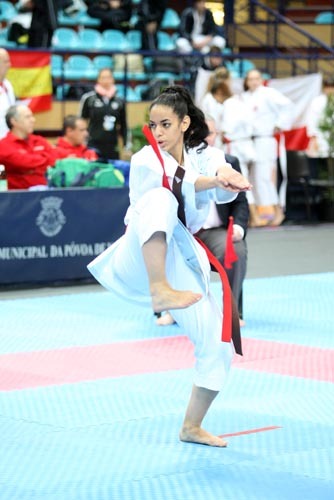 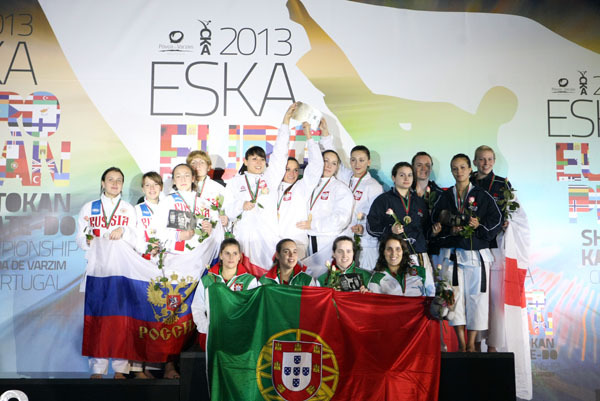 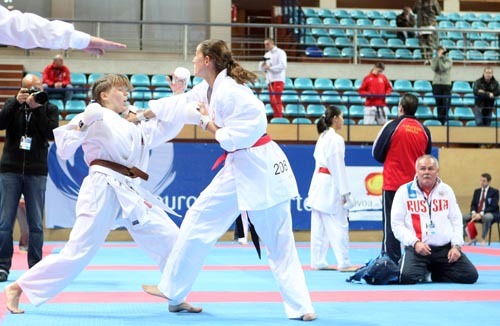 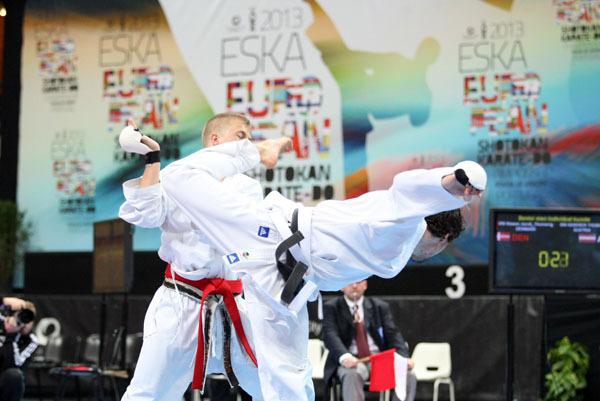 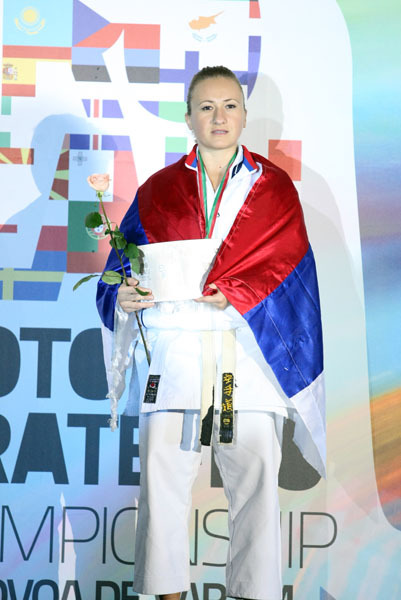 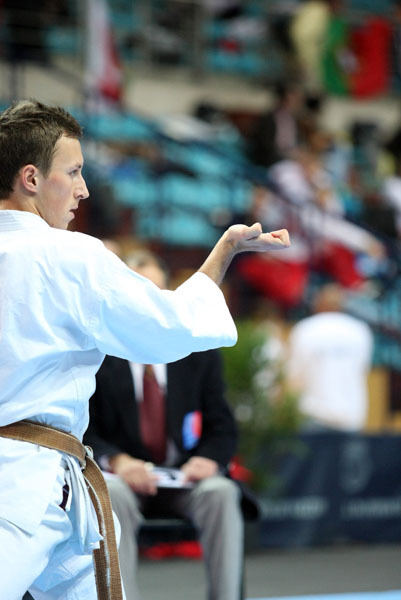 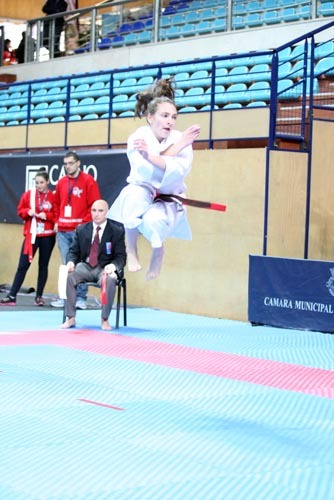 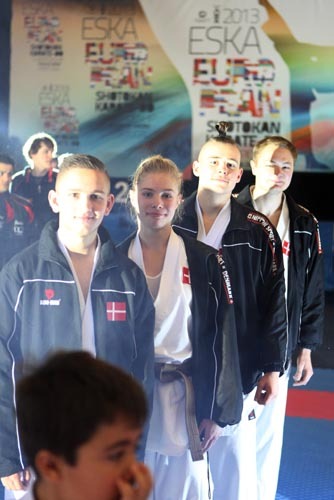 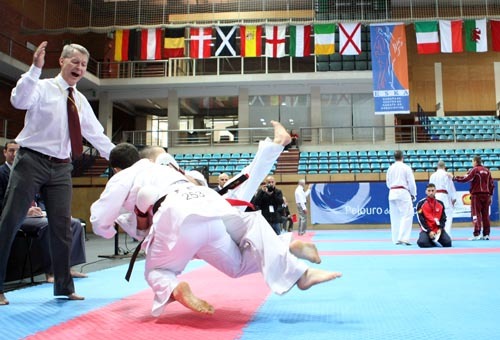 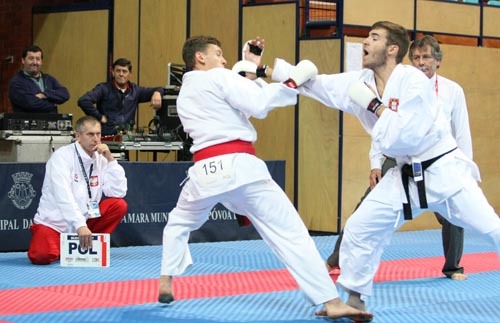 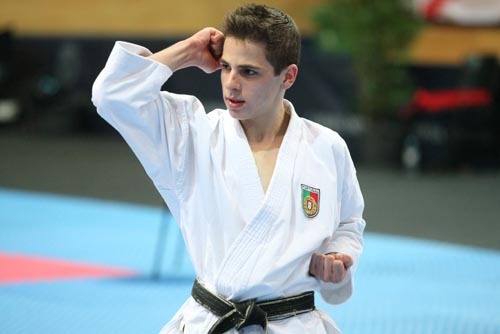 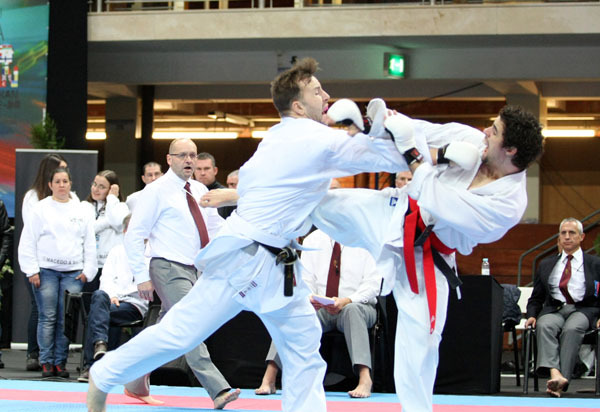 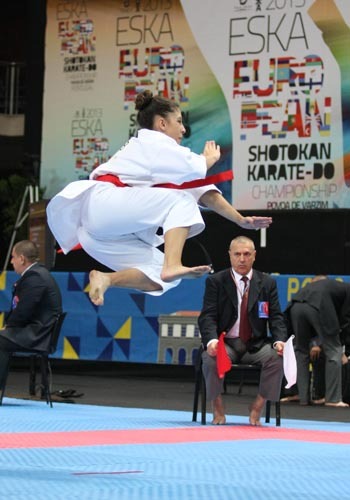 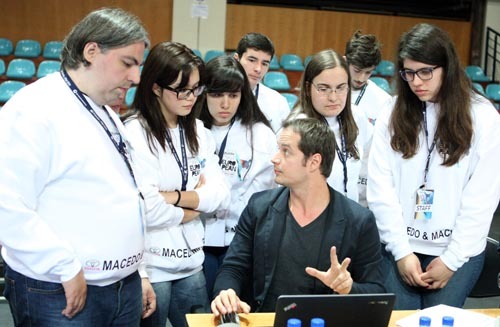 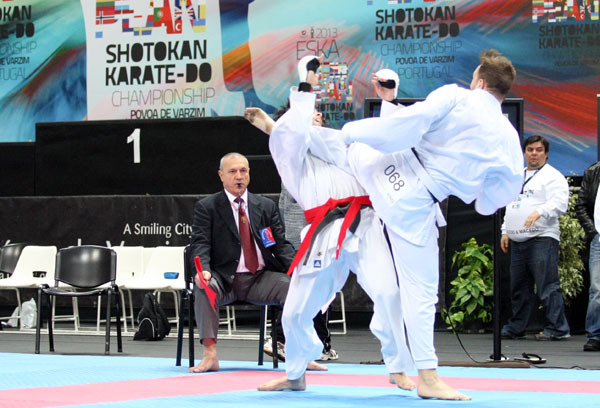 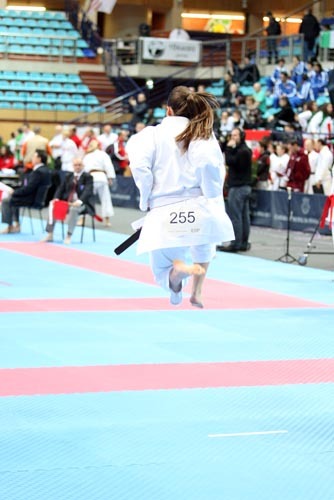 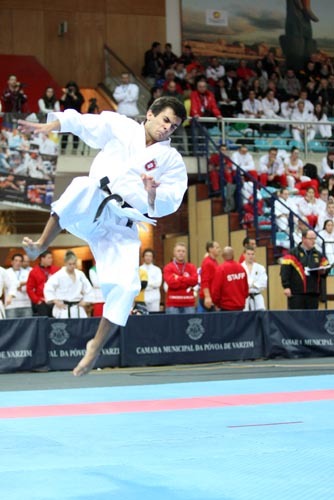 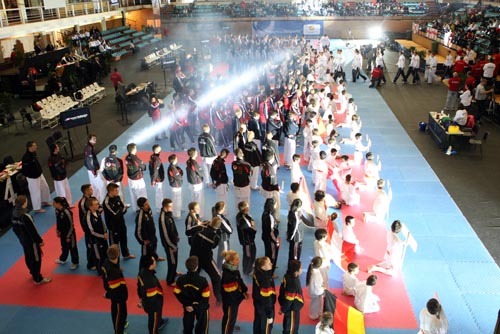 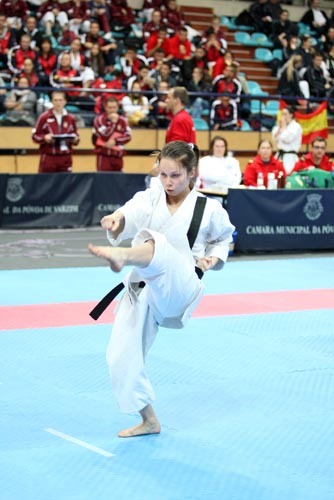 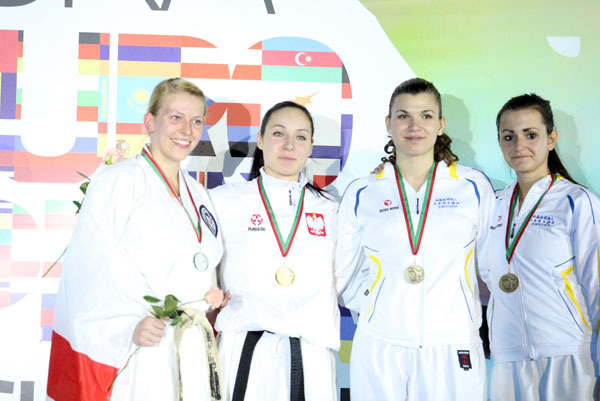 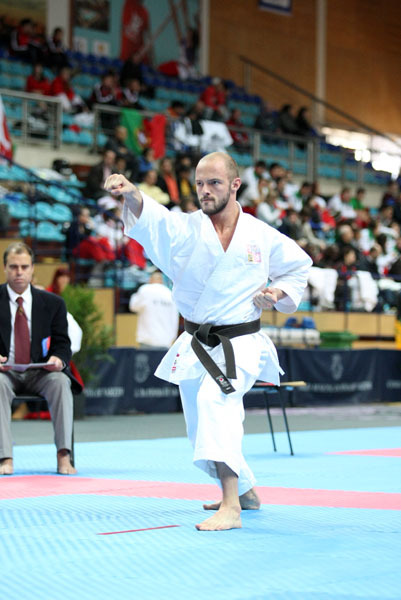 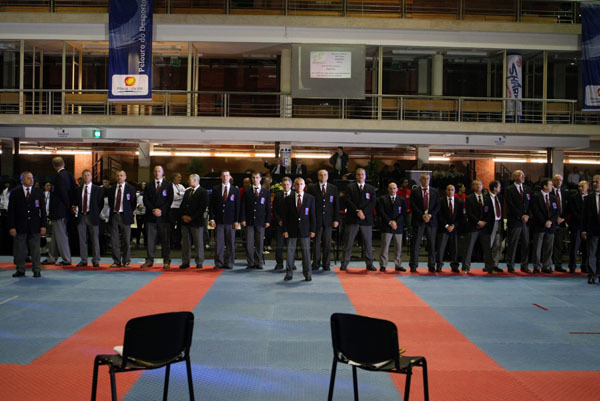 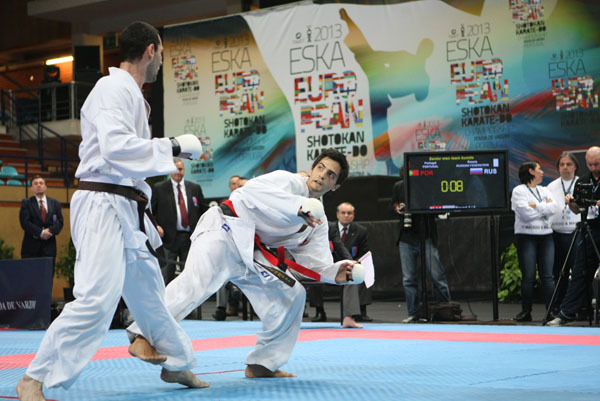 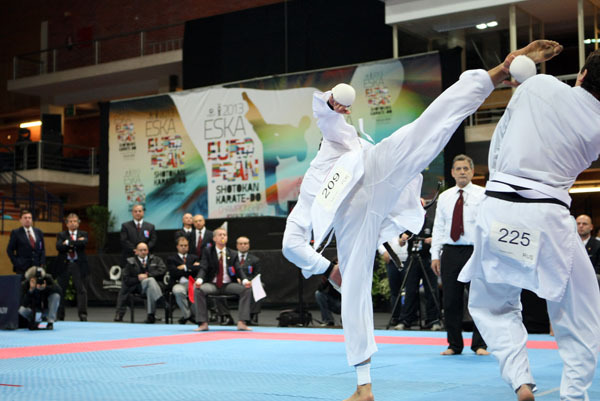 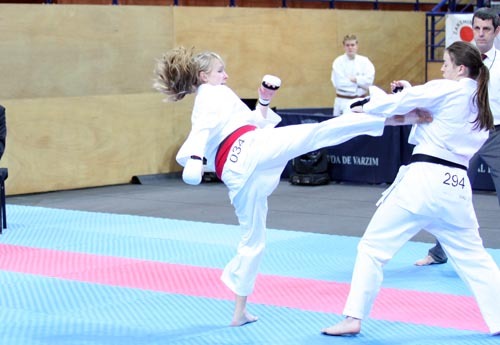 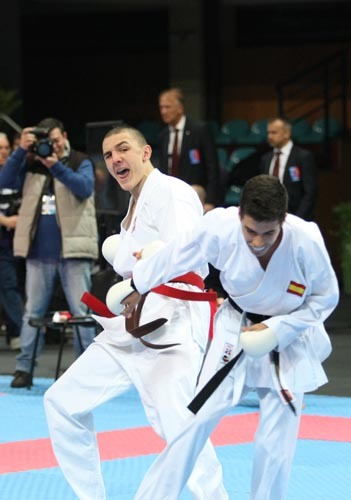 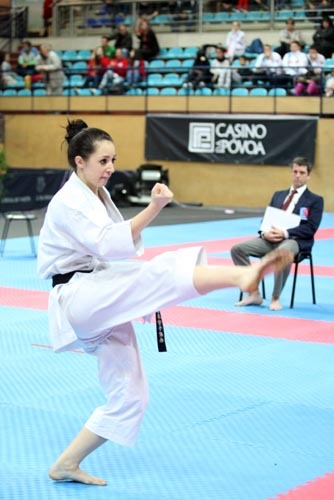 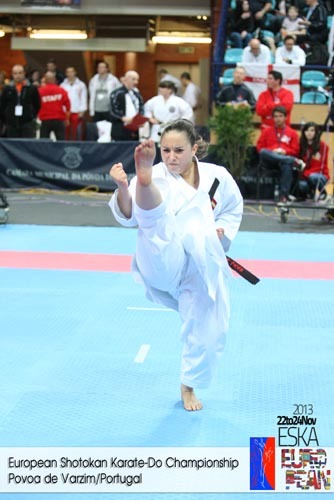 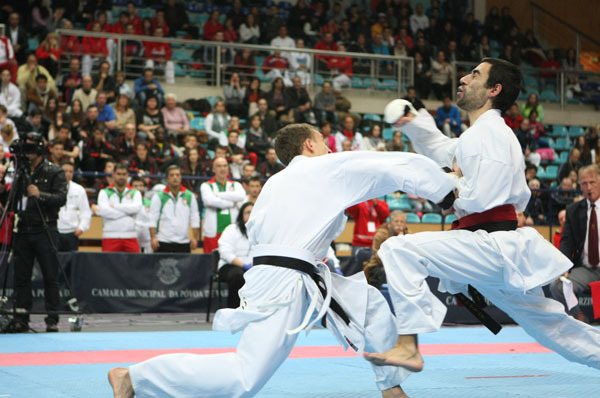 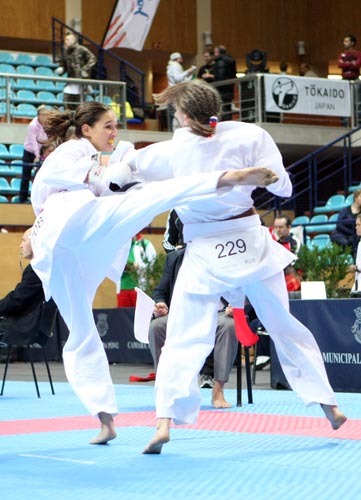 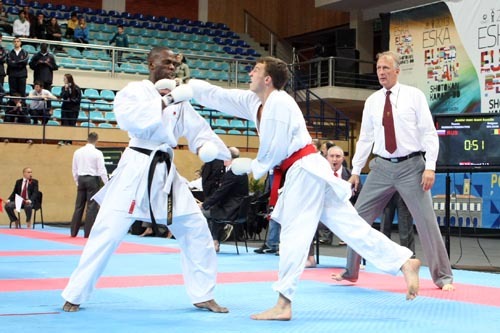 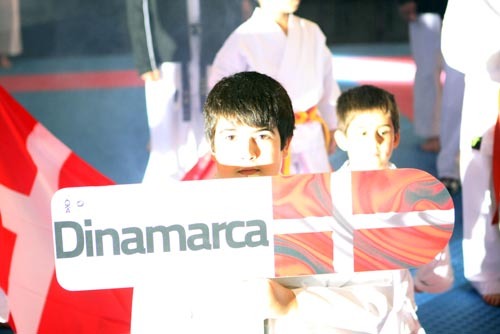 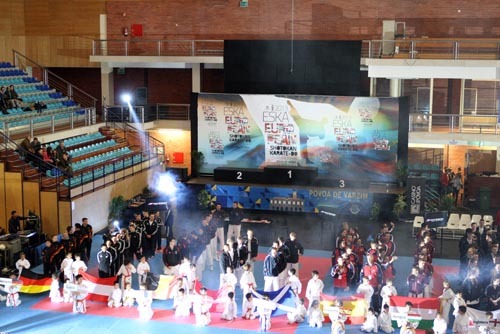 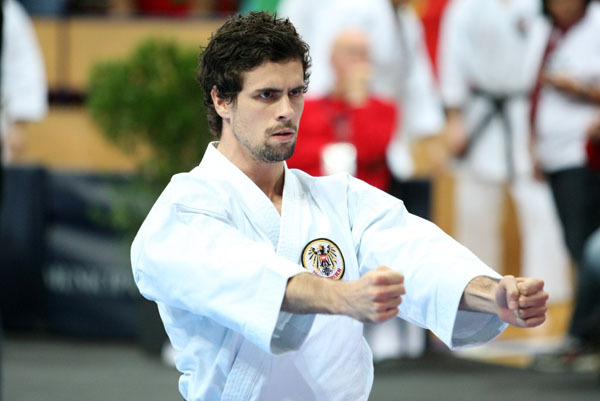 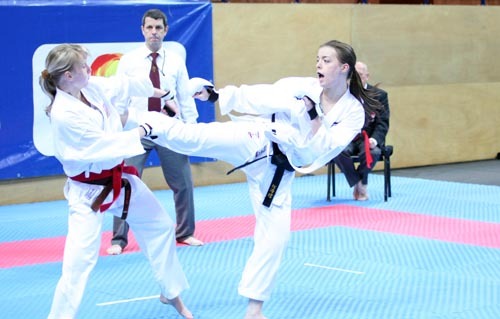 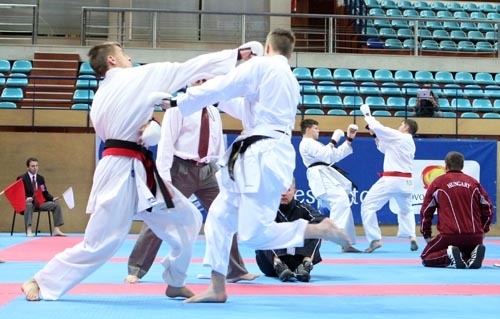 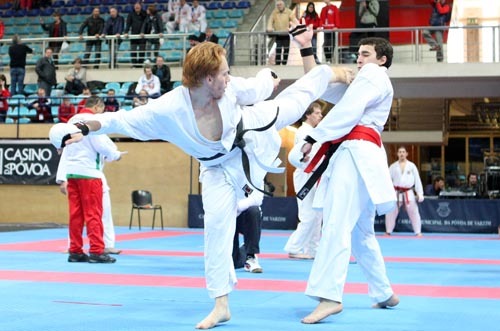 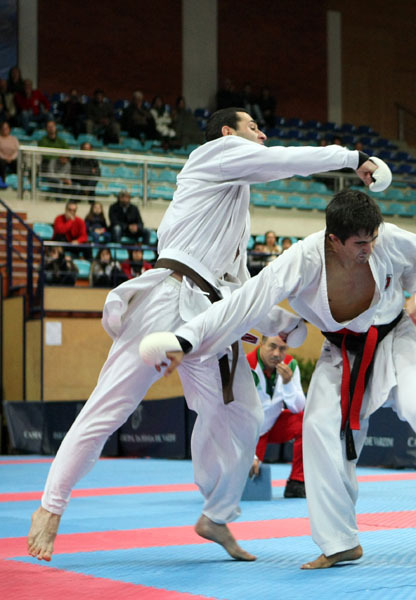 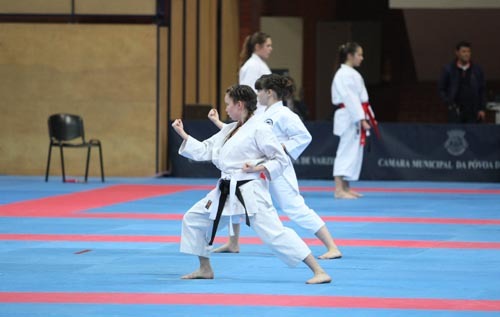 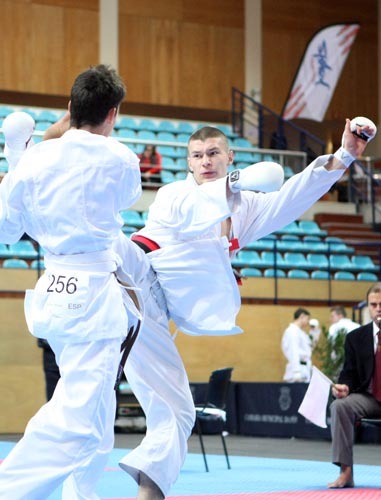 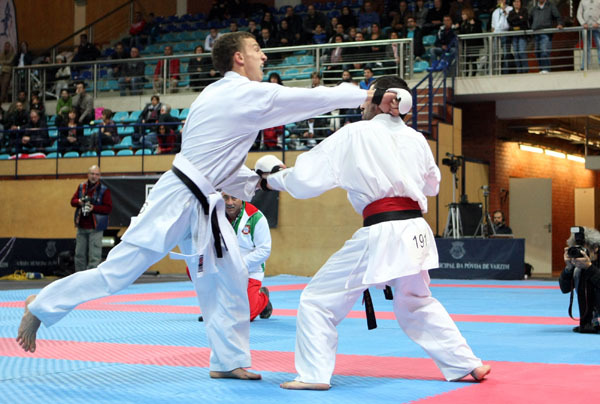 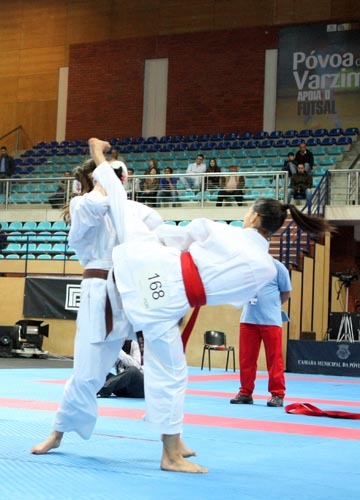 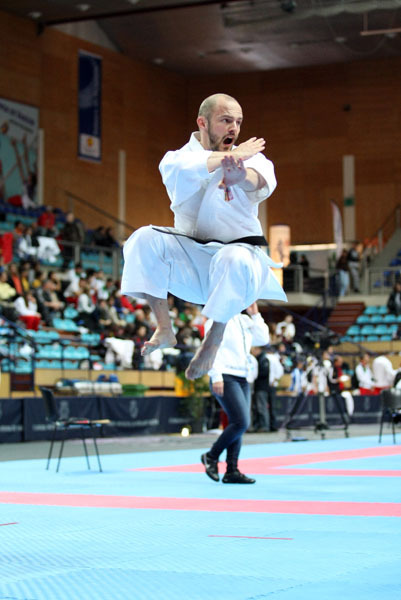 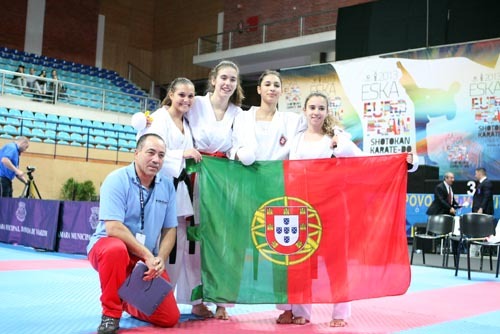 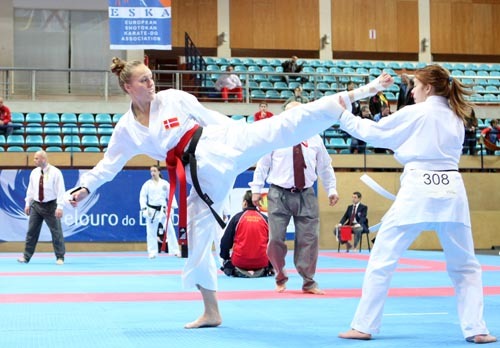 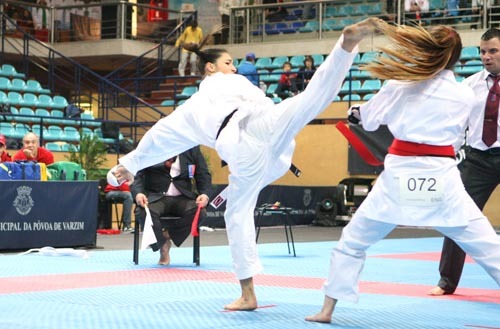 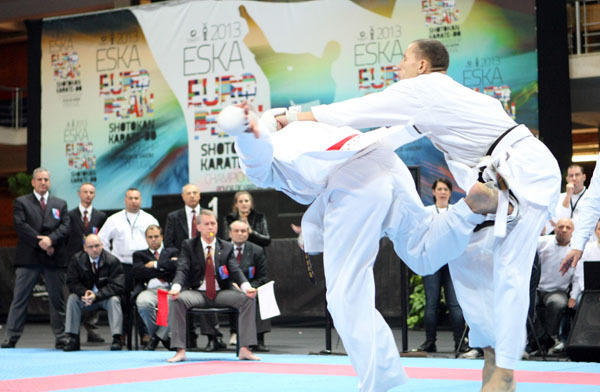 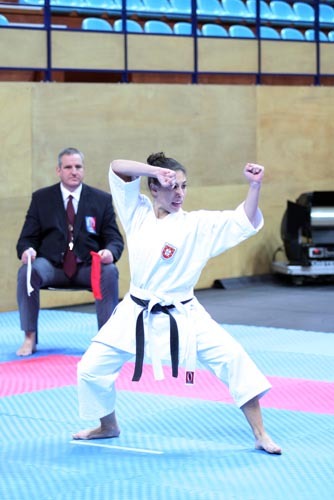 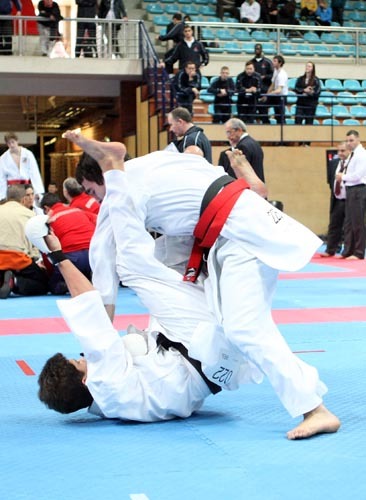 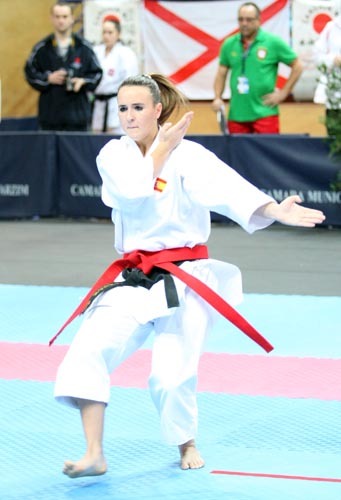 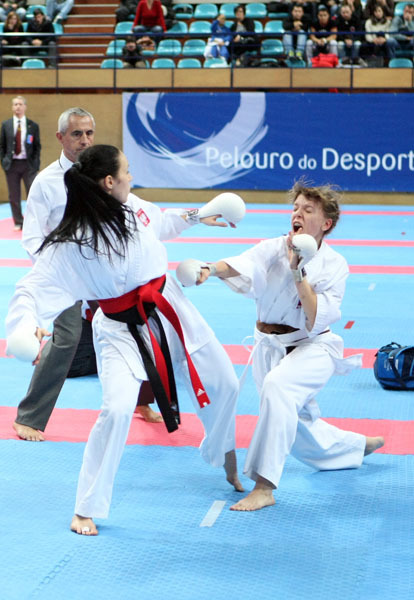 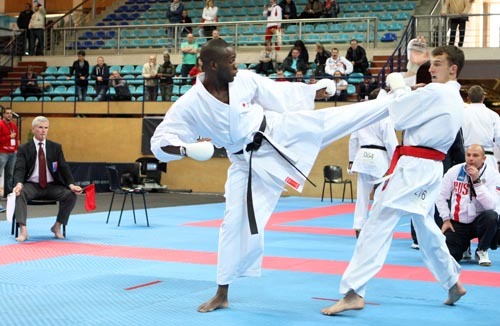 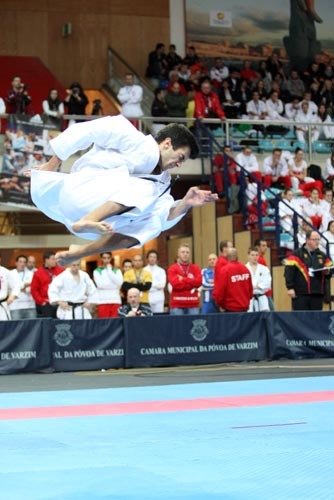 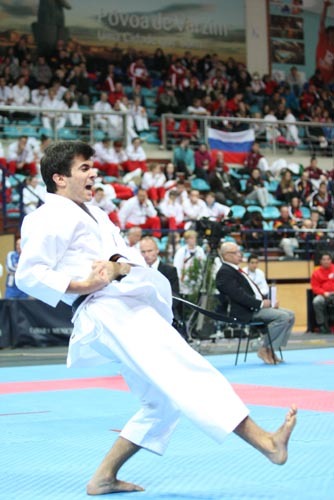 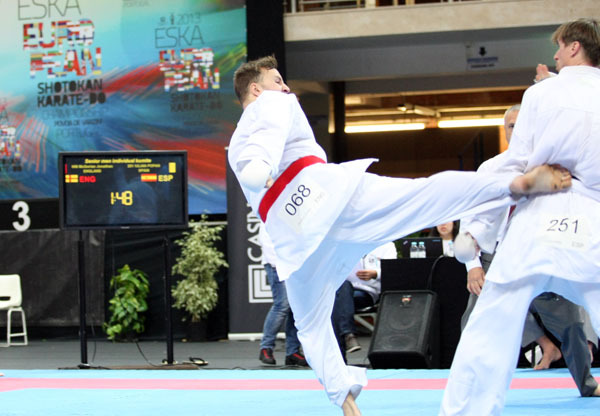 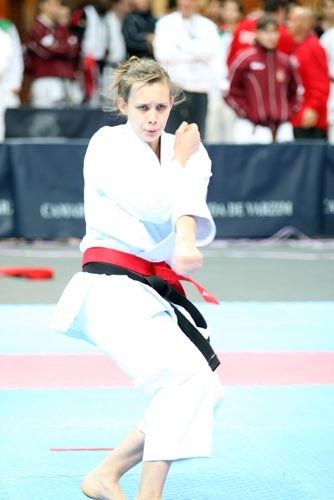 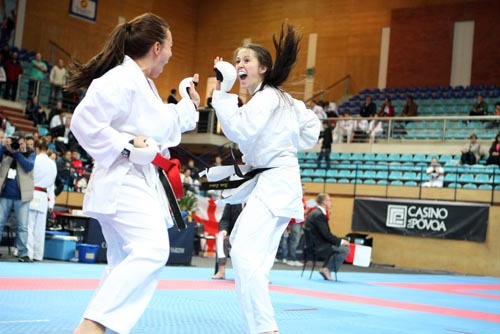 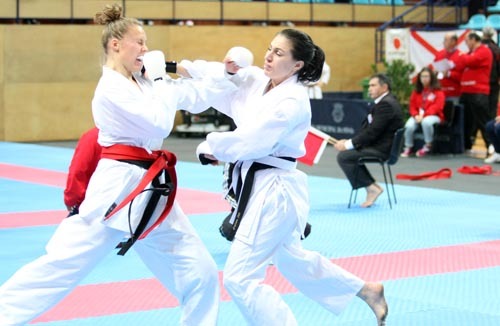 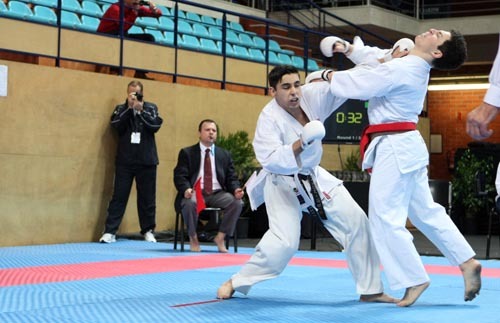 In November 308 athletes from 20 European countries converged on the delightful seaside town of Povoa de Varzim, Portugal for Europe’s most prestigious Shotokan Karate championships. 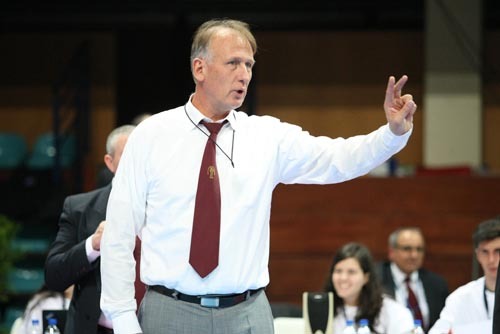 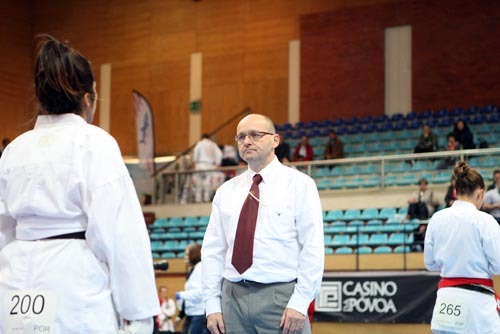 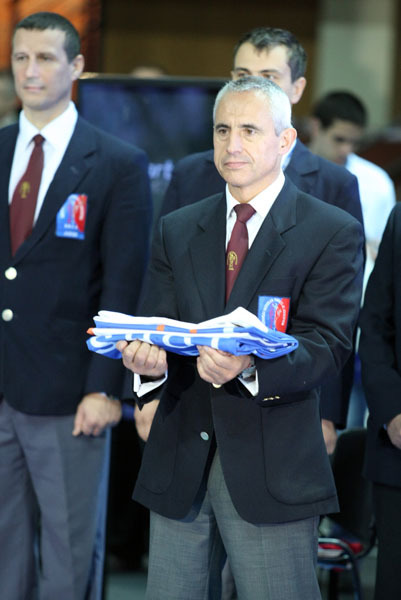 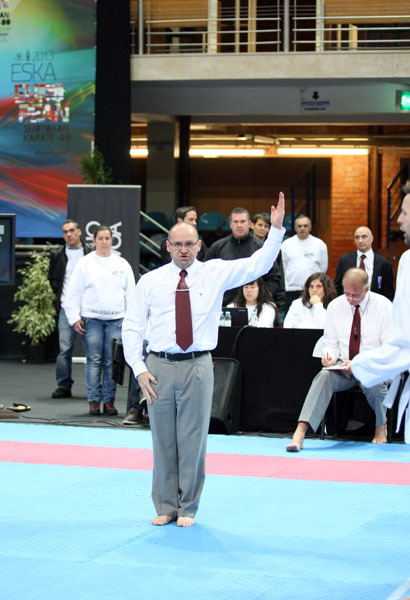 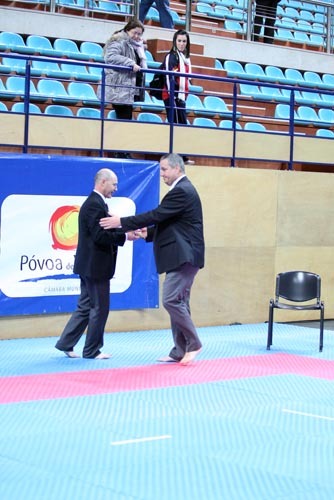 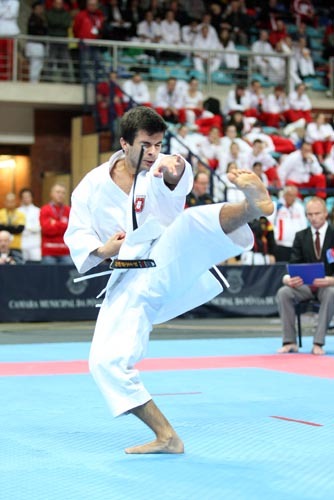 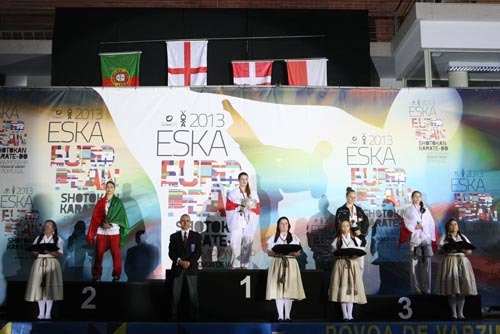 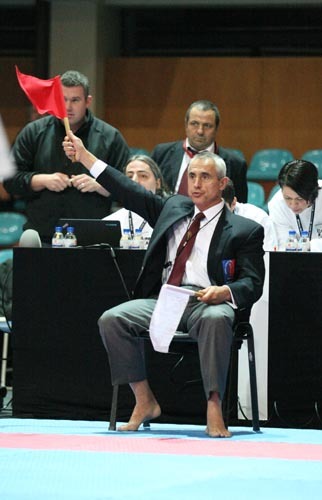 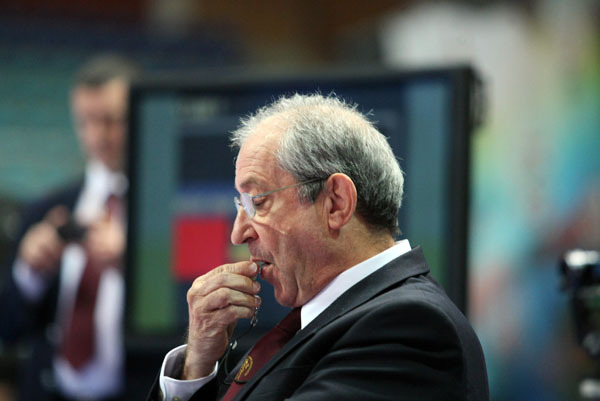 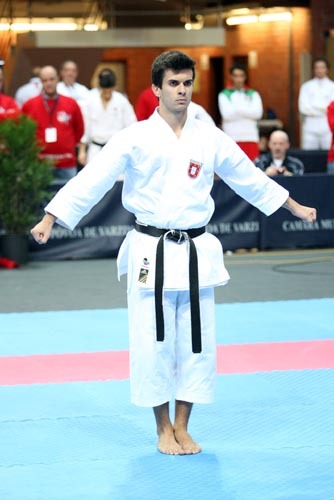 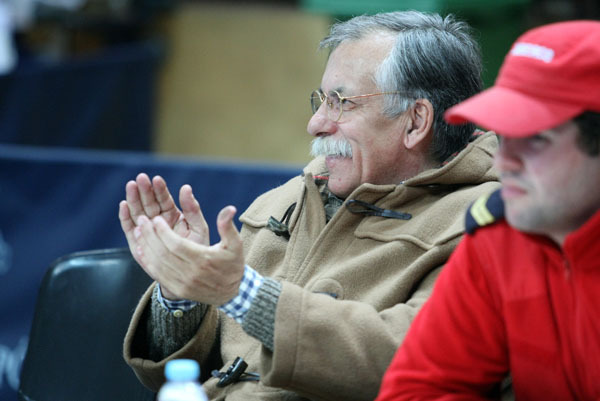 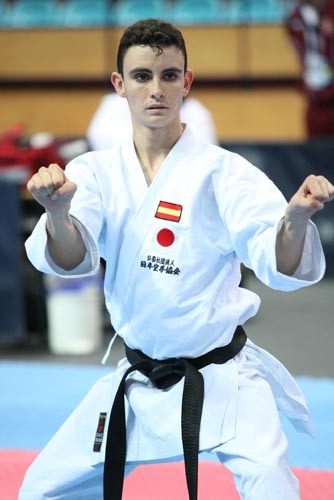 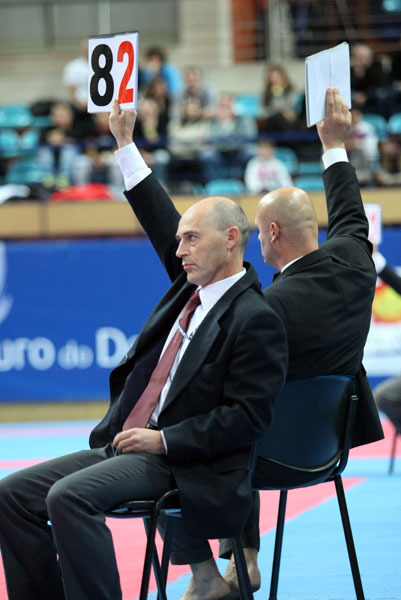 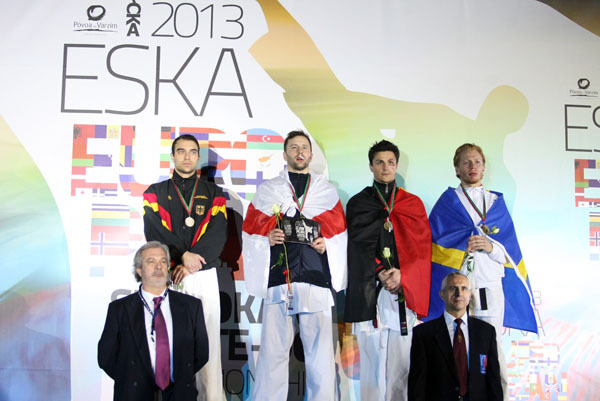 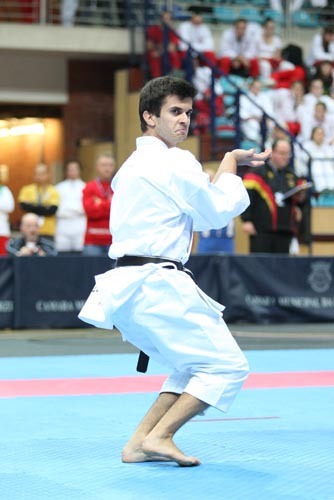 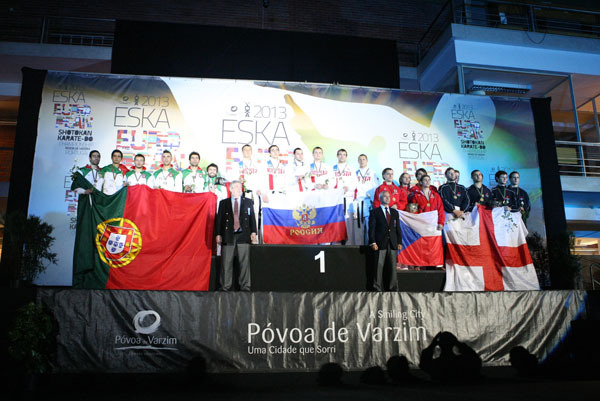 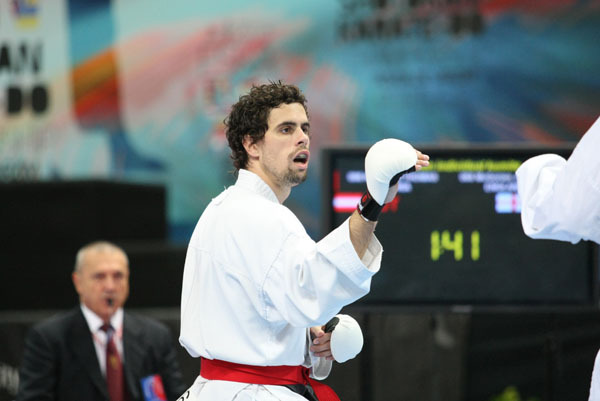 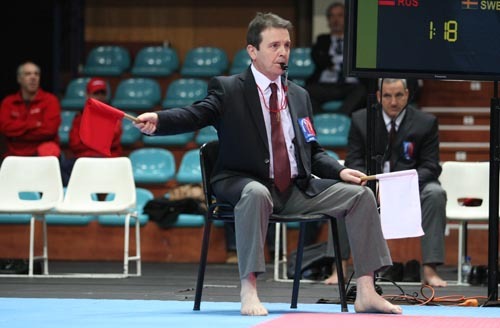 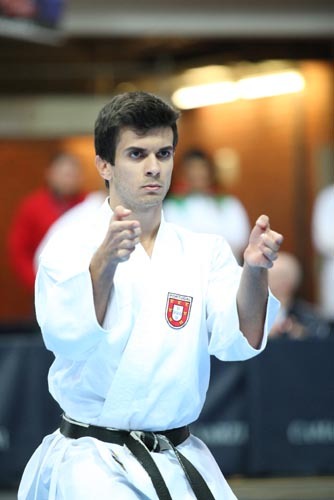 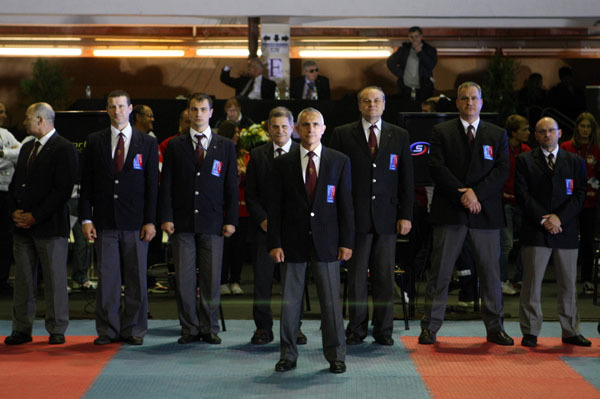 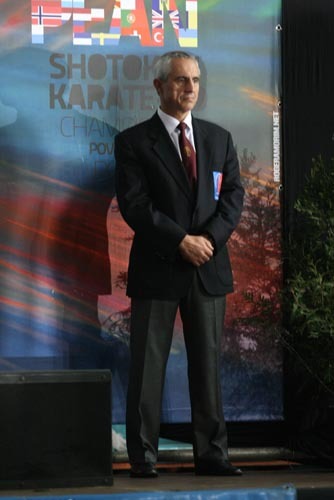 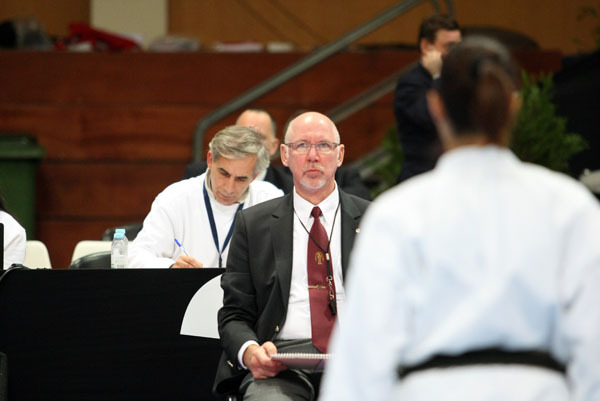 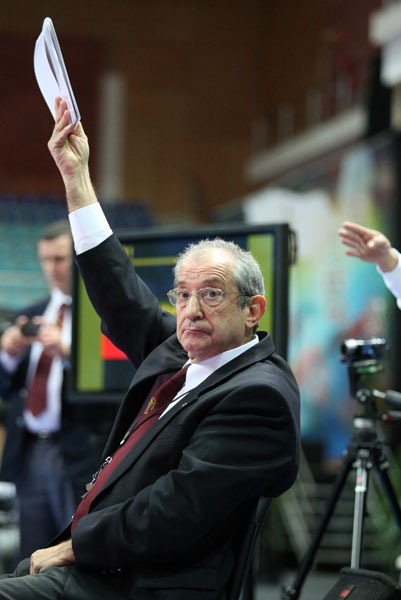 José Alberto Andrade Melo the president of the Portugese Shotokan Karate Federation and honorary ESKA-vice president represented the team who organised the European Shotokan Karate-Do Championships 2013. 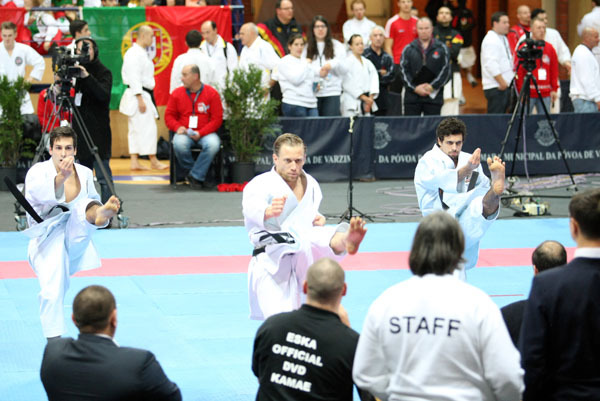 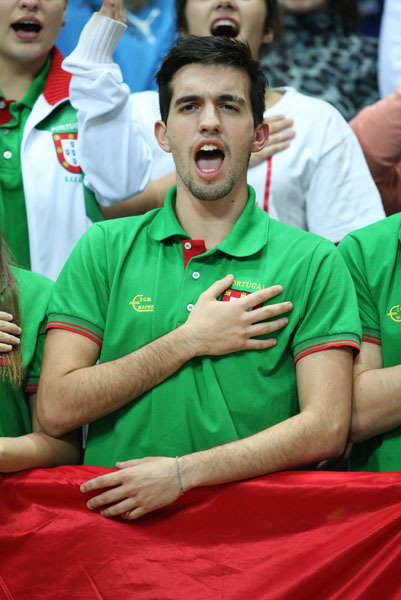 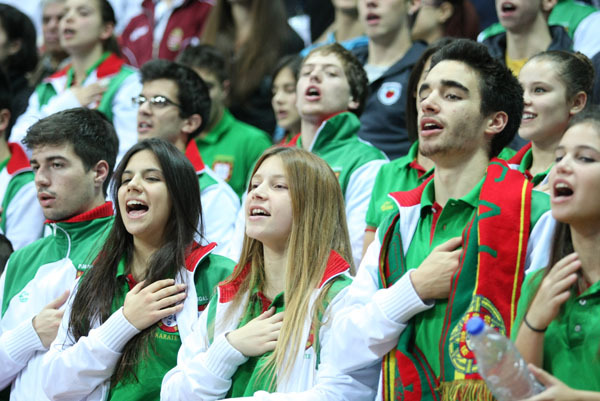 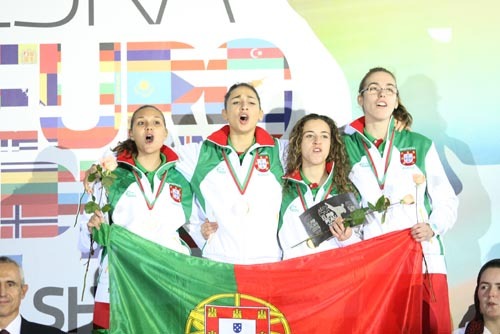 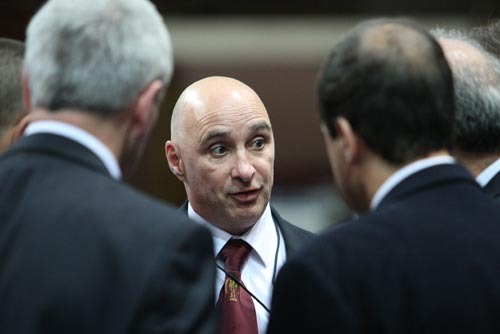 It was organised with the great professionalism and hospitality for which Portugal is renowned. 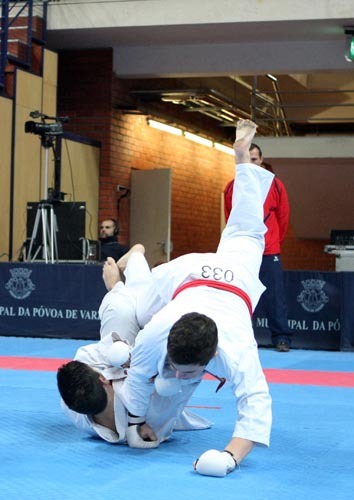 The glorious weather and rolling surf of Povoa de Varzim provided a marvellous back drop to the championships which was greatly enjoyed by all those who participated in the five days of courses, meetings and competition. 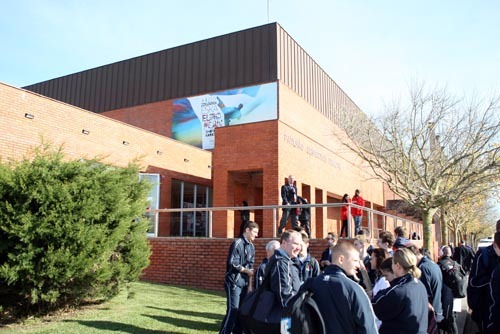 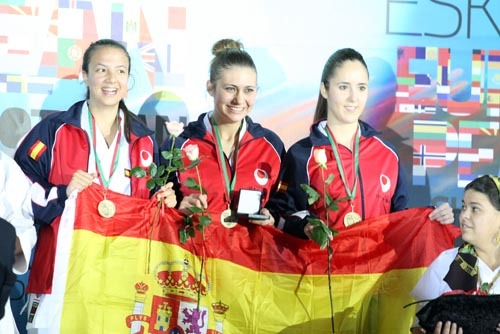 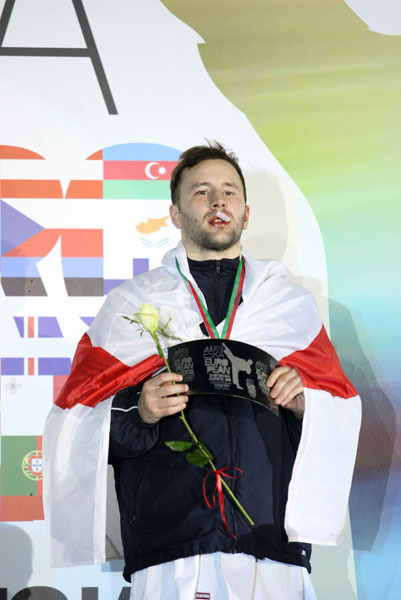 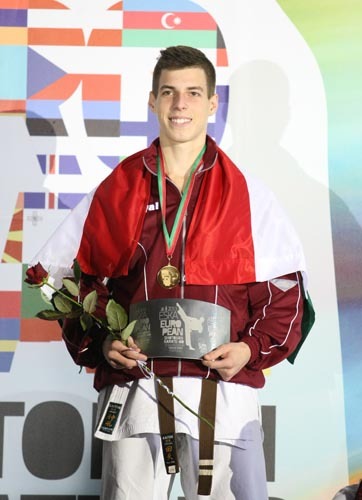 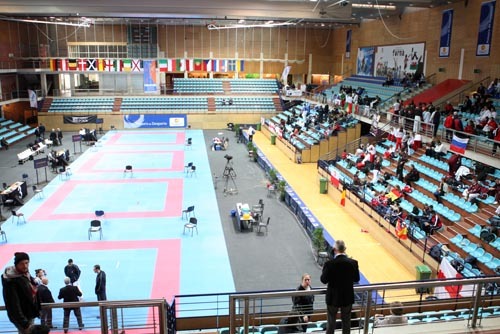 The athletes, referees, coaches, officials, guests and spectators from across Europe enjoyed the excellent facilities and hospitality of the host Federation. 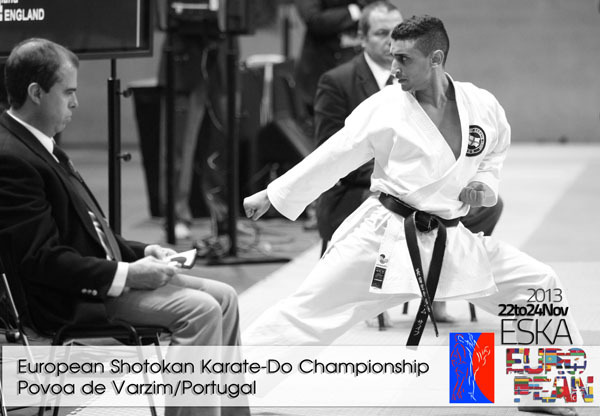 On behalf of the European Shotokan Karate-do Association (ESKA) it was a pleasure to come back to Portugal after a very successful championship in Porto 2007. 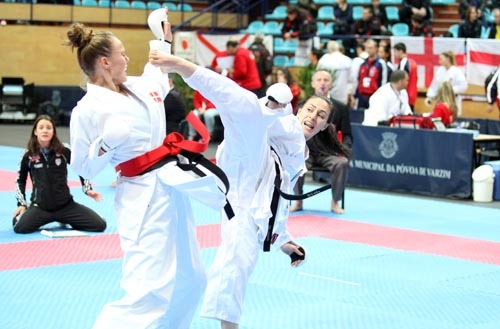 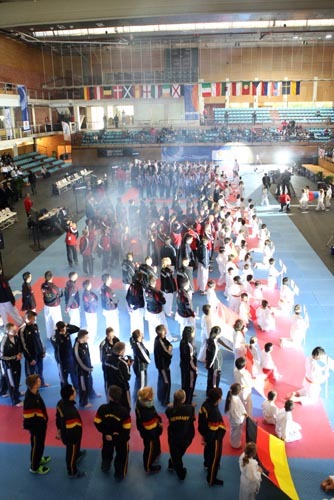 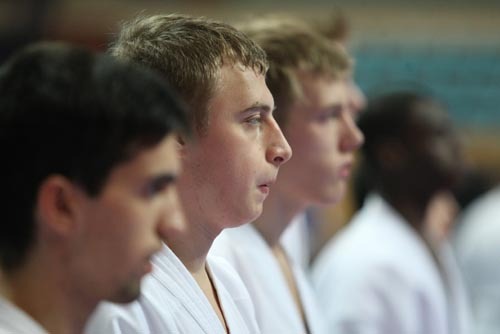 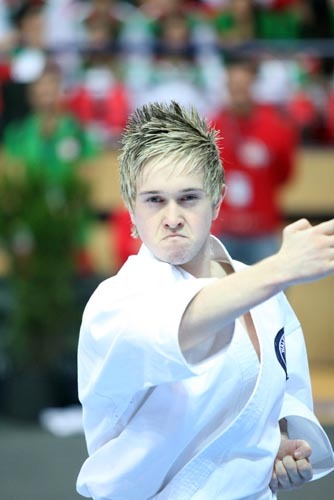 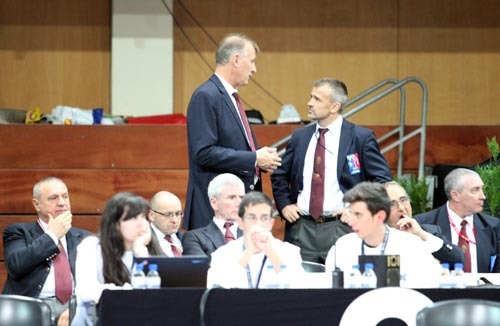 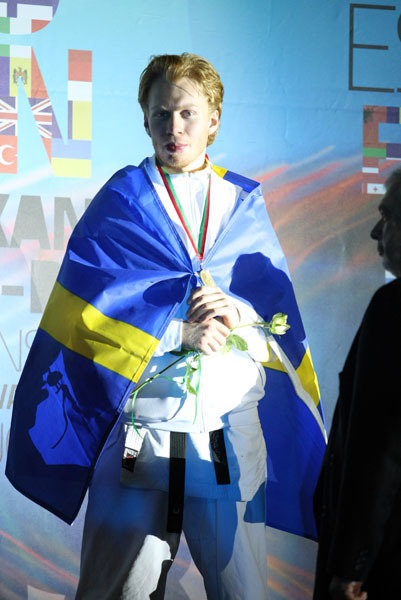 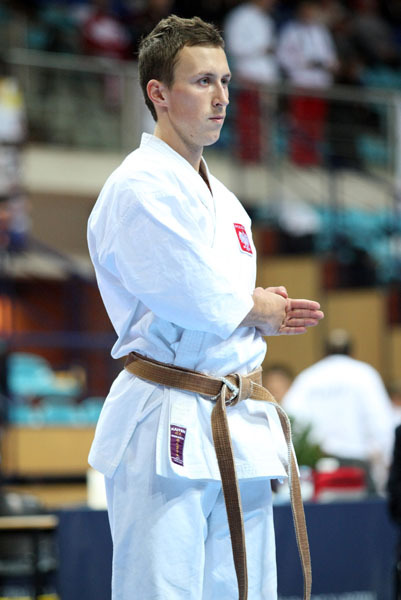 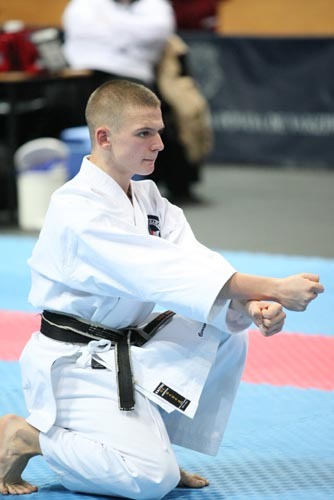 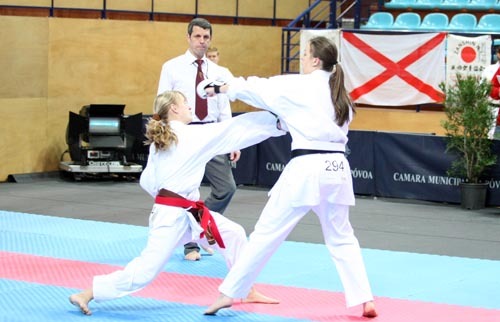 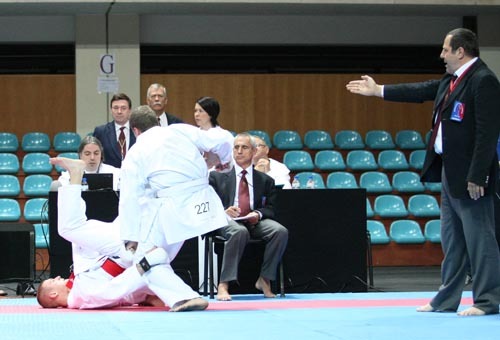 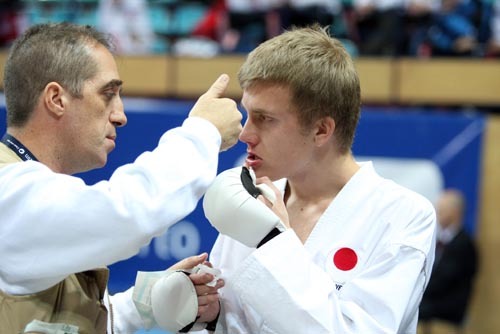 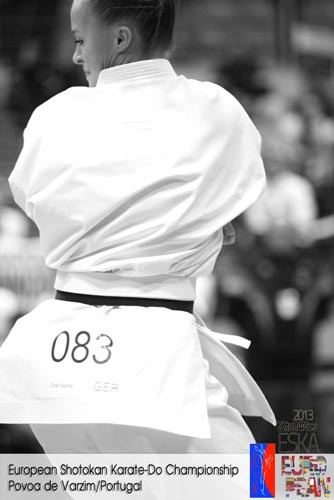 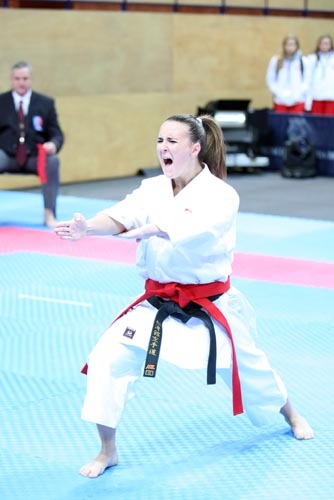 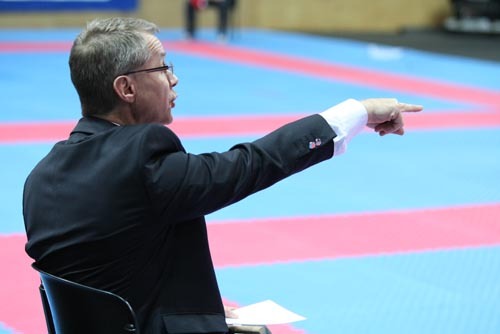 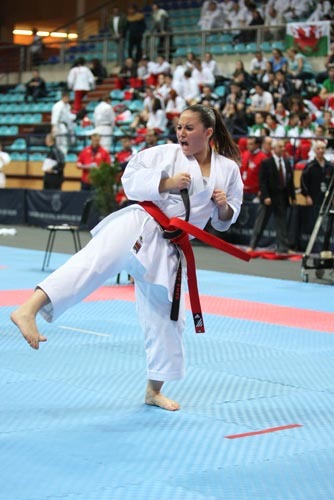 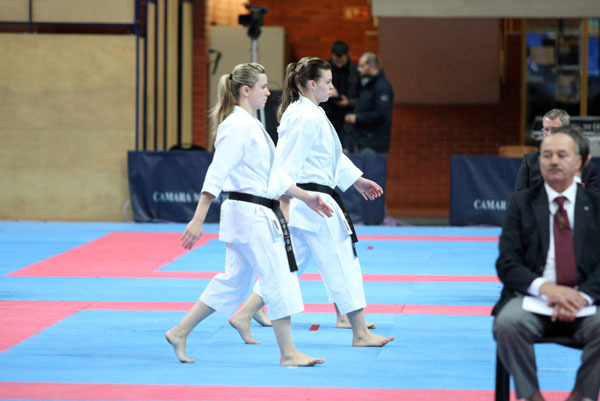 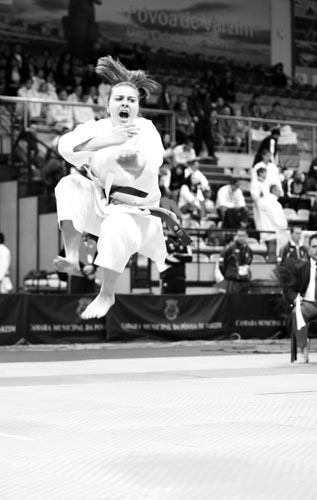 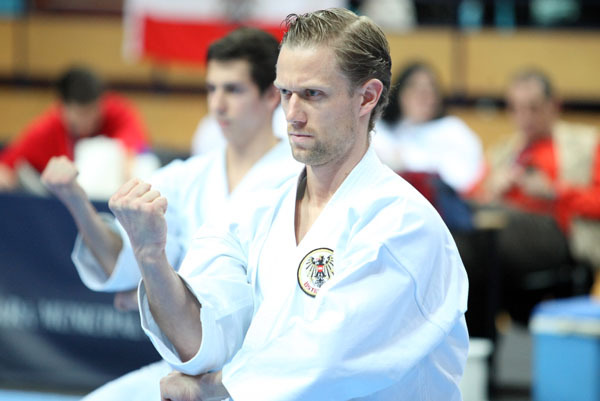 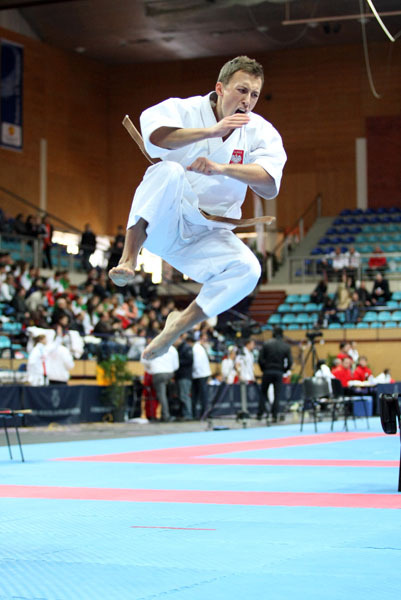 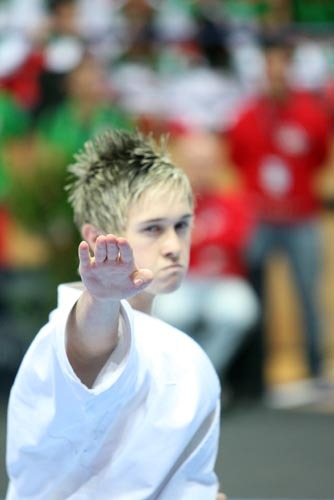 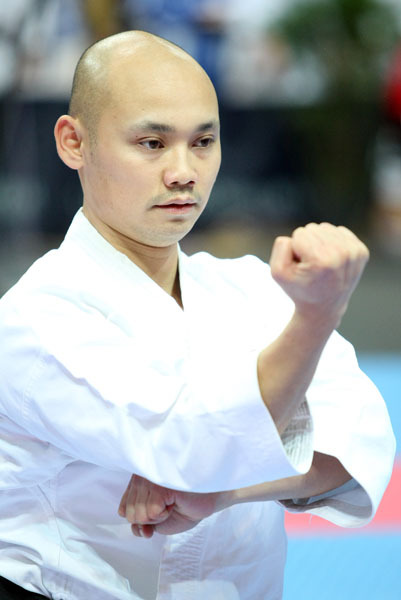 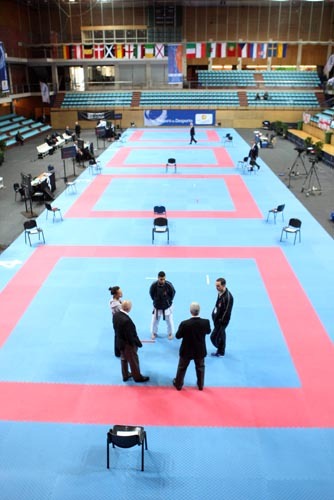 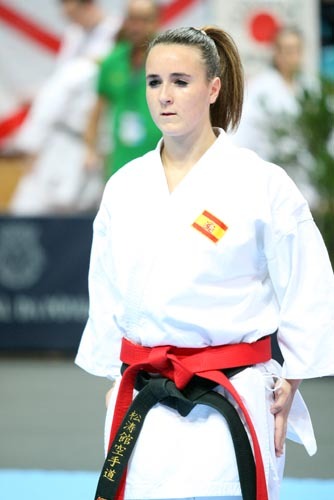 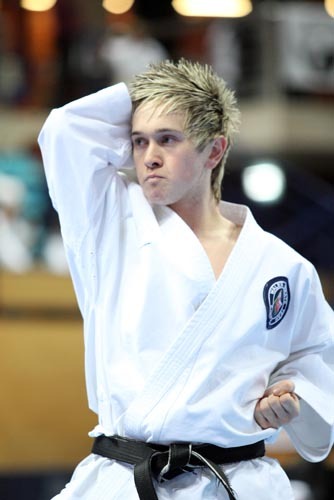 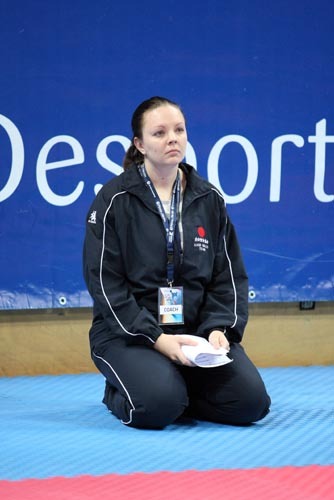 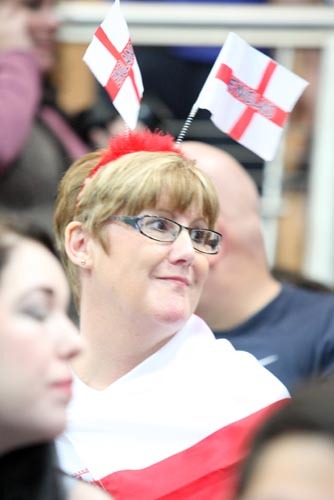 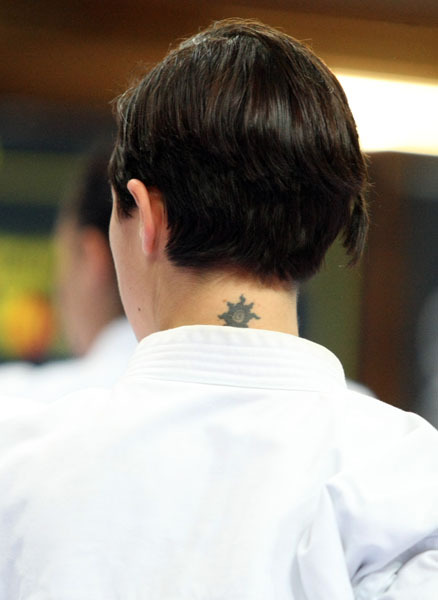 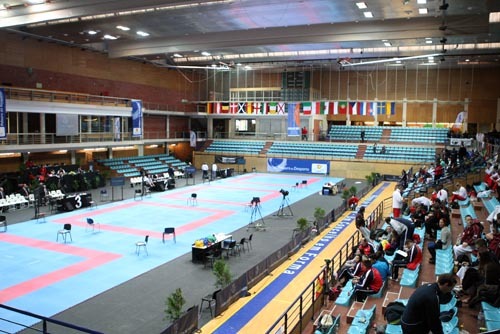 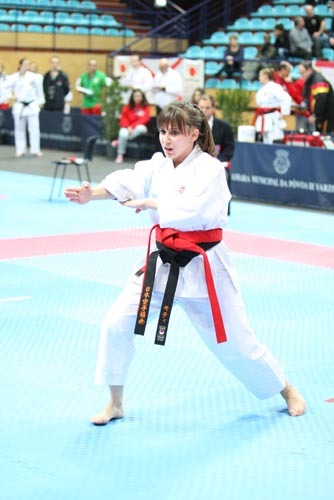 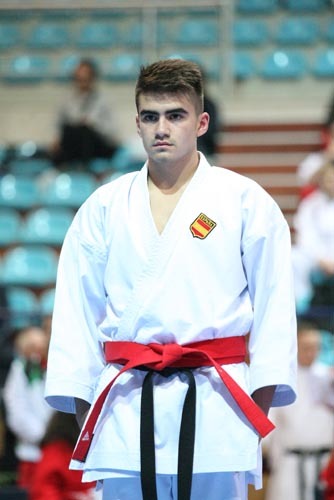 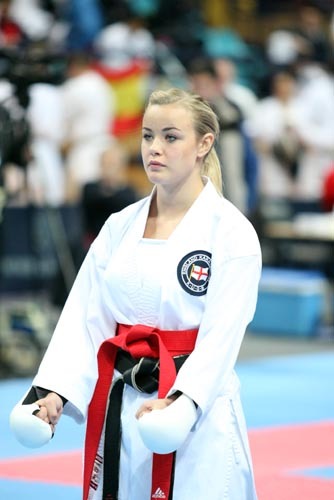 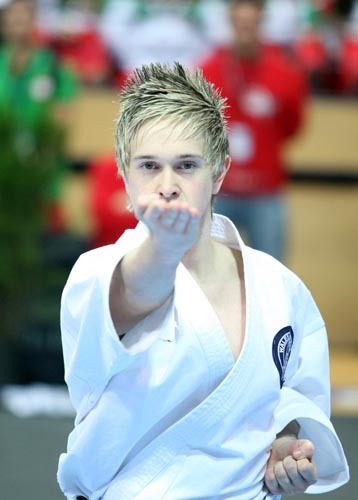 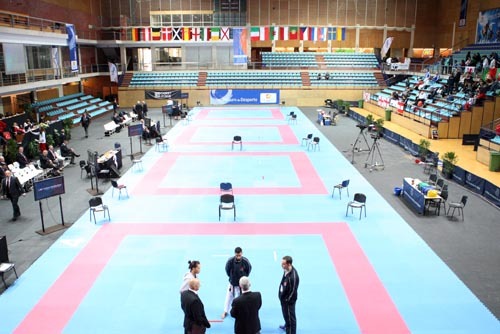 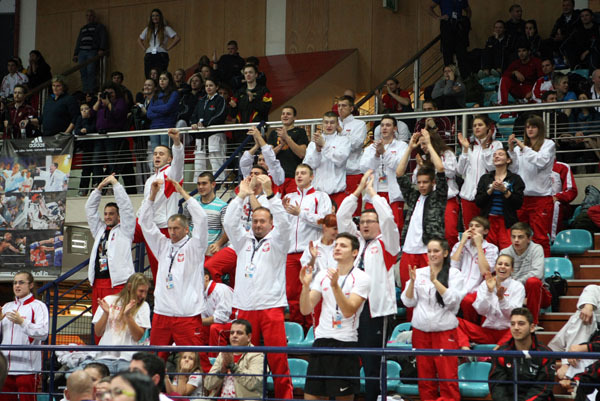 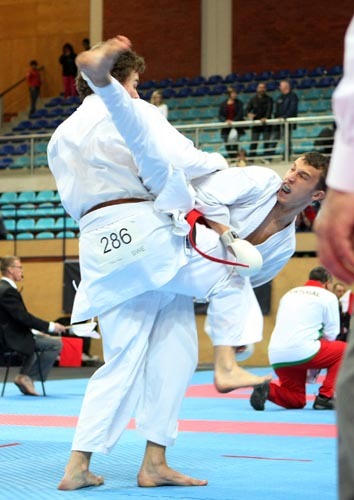 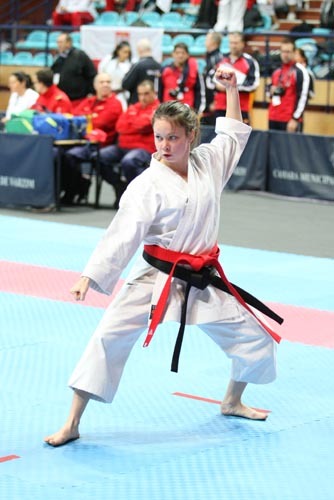 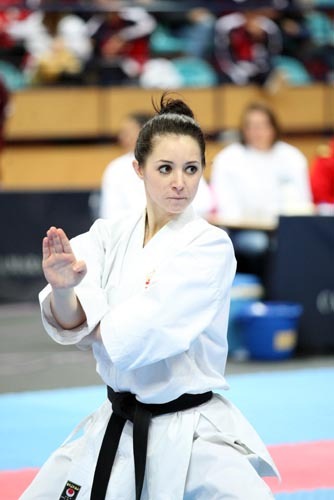 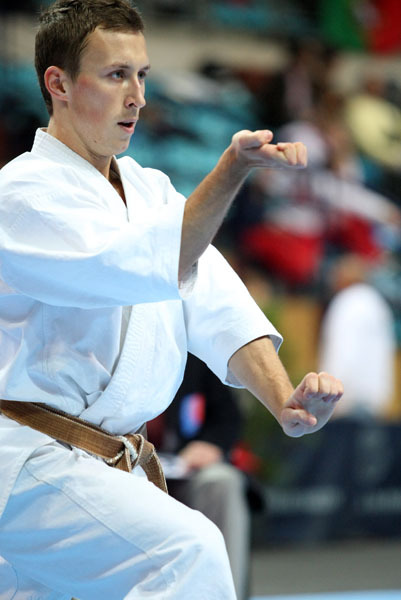 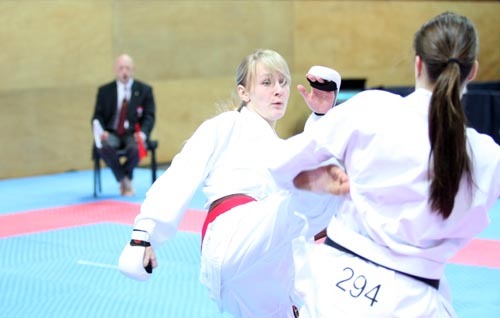 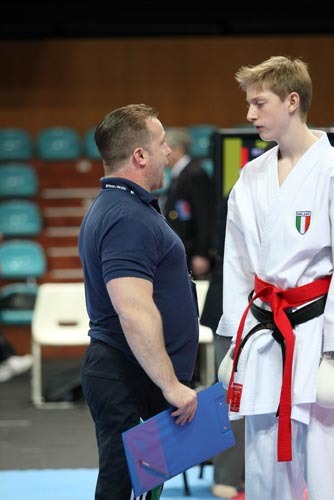 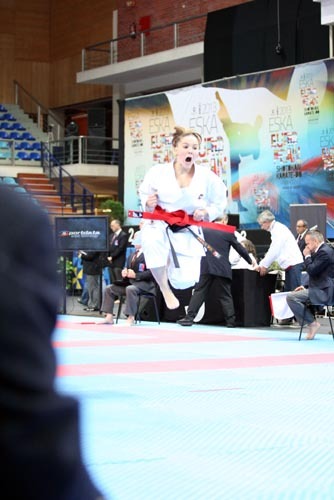 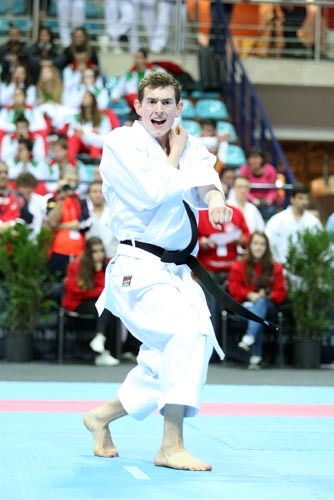 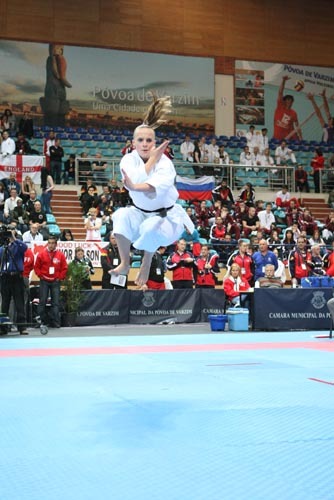 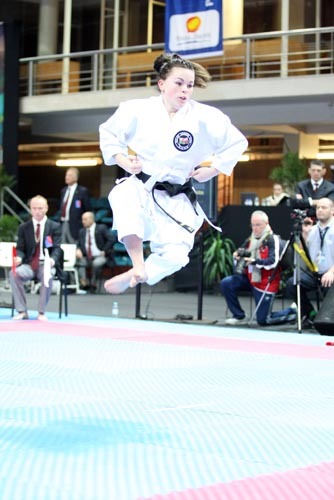 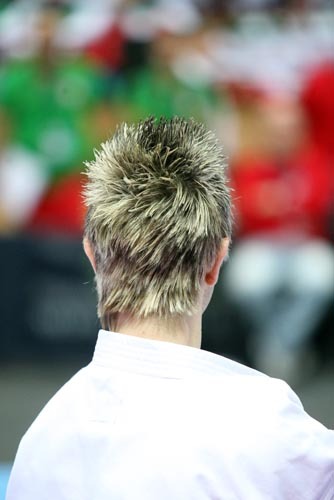 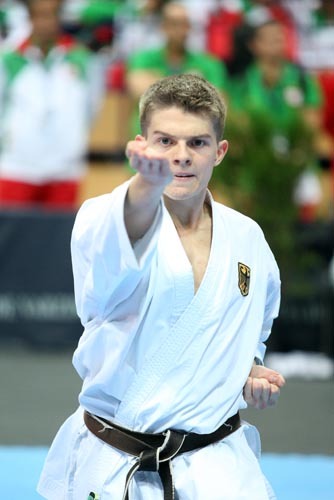 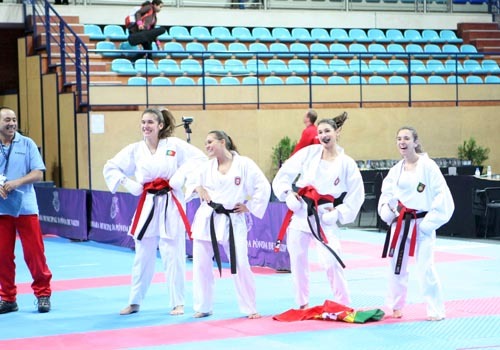 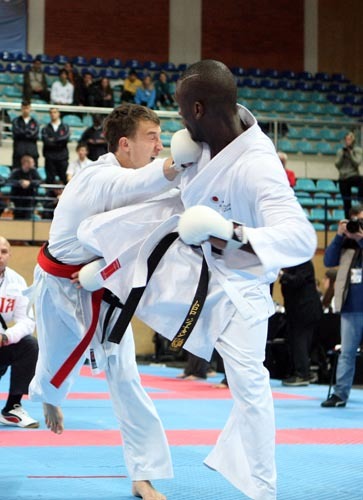 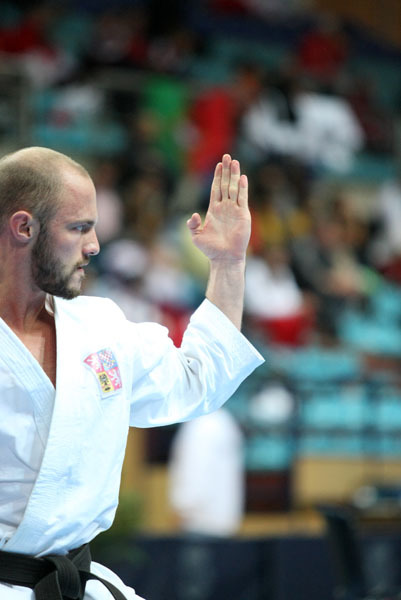 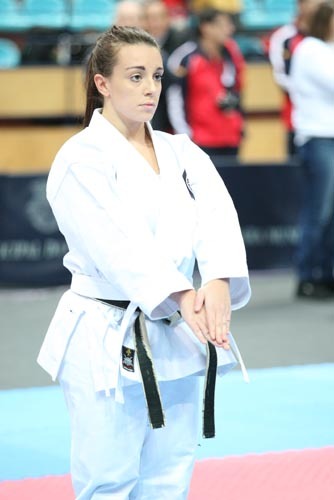 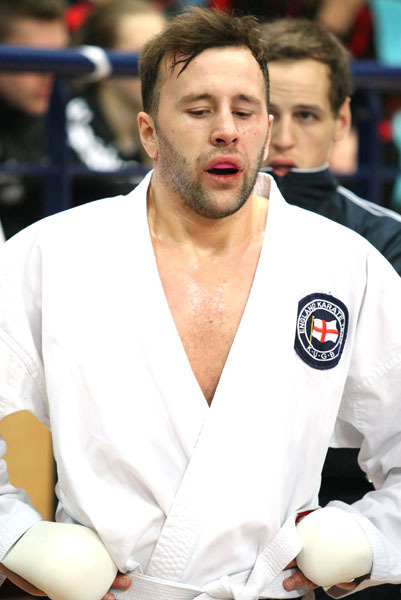 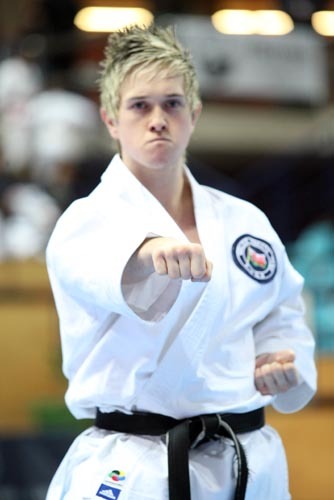 The quality of the performances both in Kata and Kumite was of a very high technical standard enhanced by the atmosphere generated within the stadium. 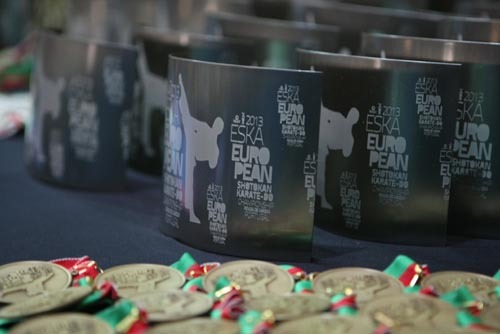 Members of the ESKA executive board and participating countries were treated by the Mayor of Povoa de Varzim to a banquet reception in the casino. 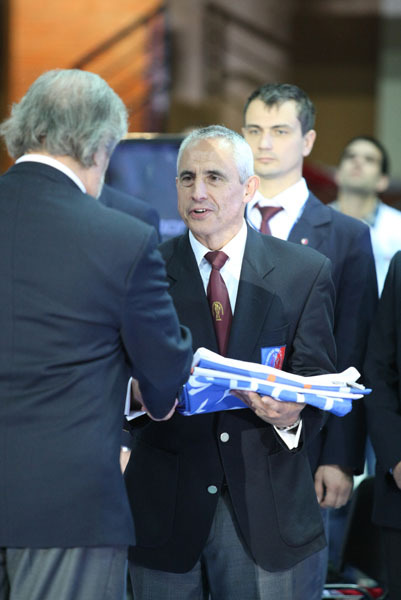 All parties involved in this memorable occasion acknowledge the outstanding achievements of those who won medals and titles. 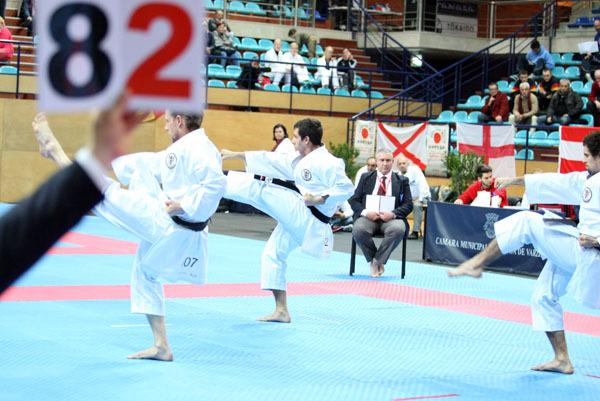 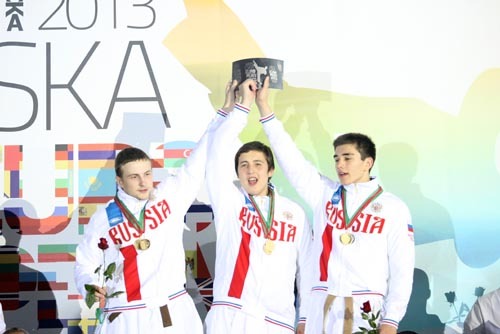 England achieved first place in the medals table with 6 golden medals, 2 silver medals and 6 bronze medals, followed by the Russian and Hungary. 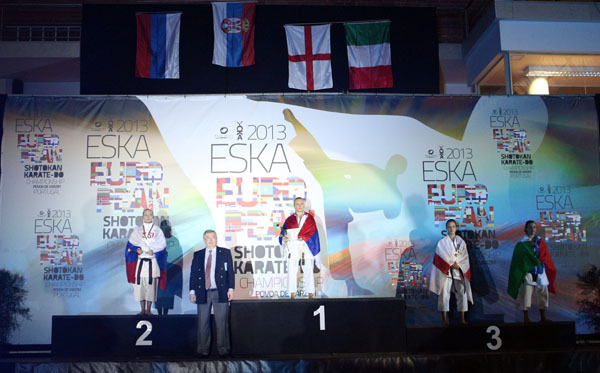 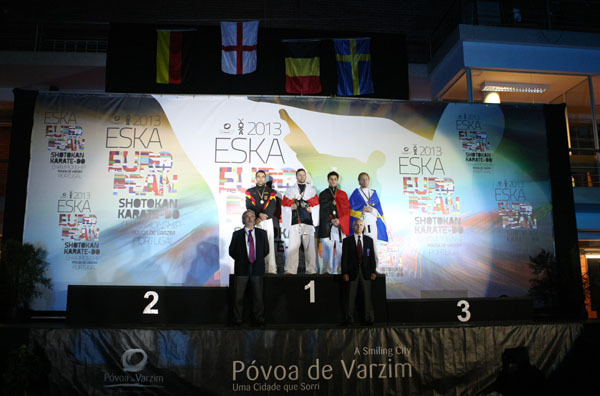 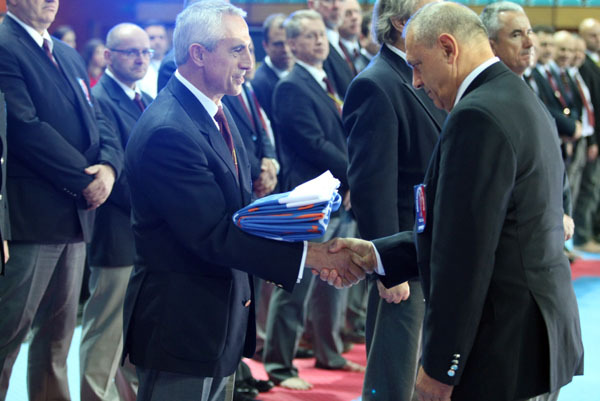 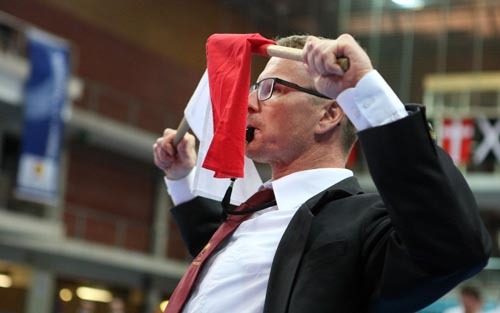 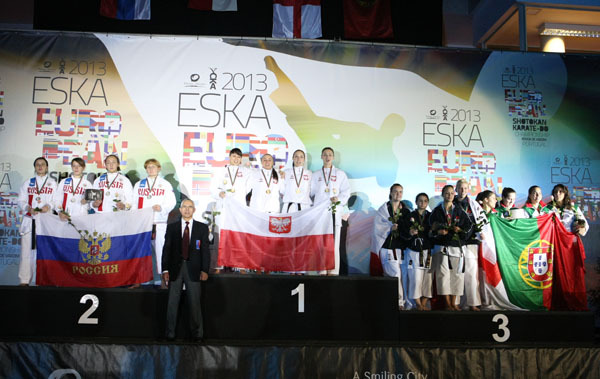 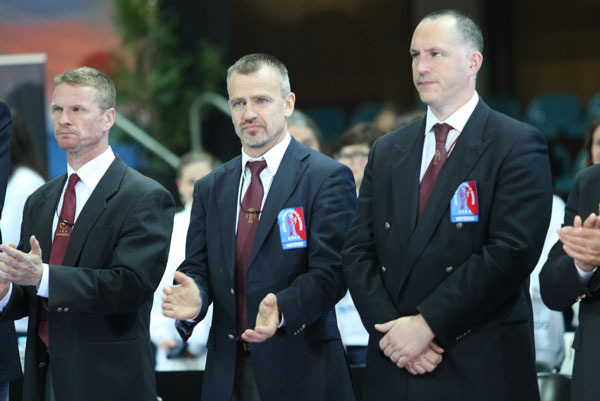 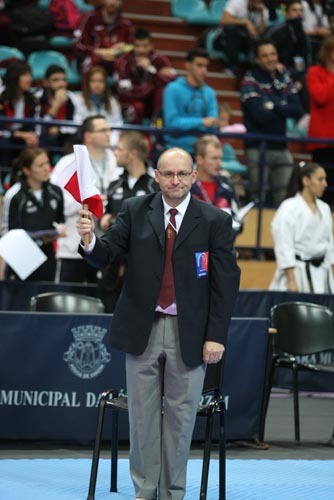 After three eventful competition days, the president of the Eurpean Shotokan Karate-Do Federation (ESKA), Richard Poole, handed the ESKA-flag to the organisers of the European Championships next year. 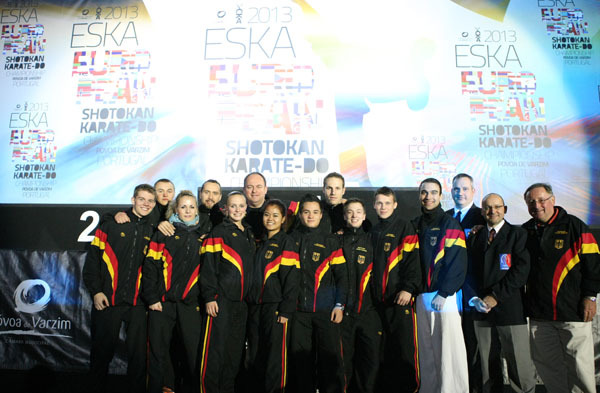 In 2014 the European Shotokan Karate family will meet in Zurich, Switzerland on 28-30th November 2014.